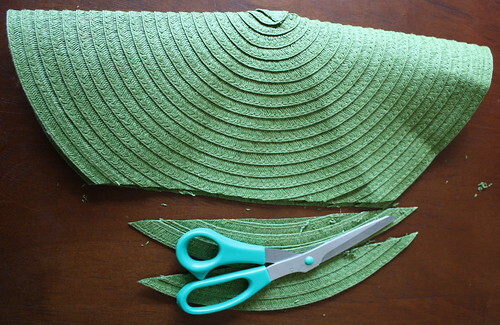 Here is a tutorial to make the placemat clutch. 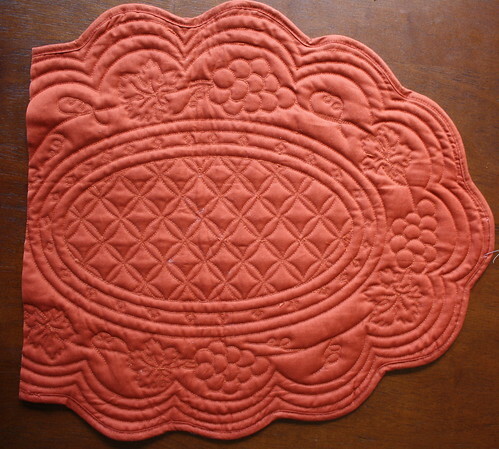 I provide a few different options for working with different shapes of placemats. Have fun! 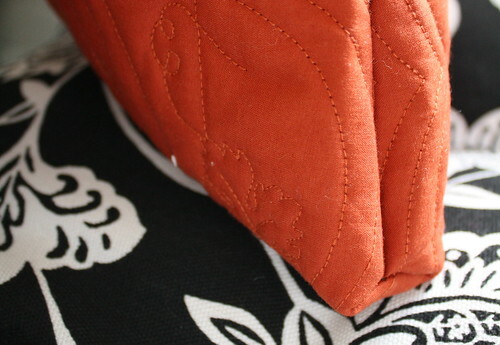 These are great simple and easy gifts to make for yourself or someone else. 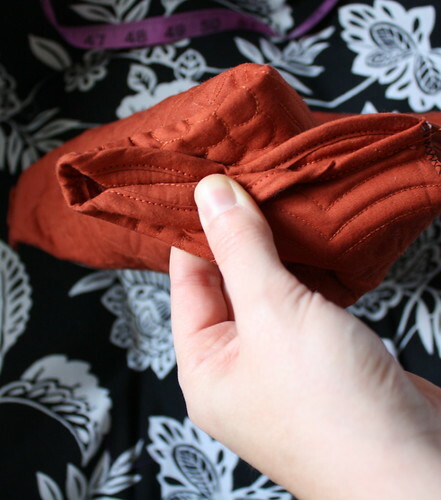 Fold it in half to determine where you want to cut for the “body” of the clutch. Cut off on one end where you chose. 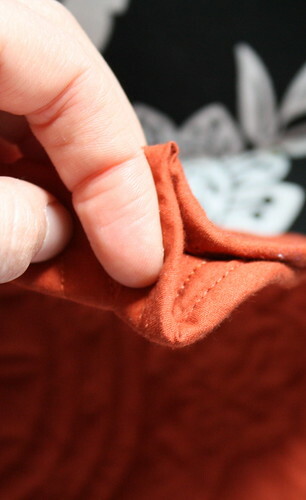 Serge the edge or just do a v-stitch across to secure the layers of material. Cut off the edges of one side. These will be the sides of the clutch. 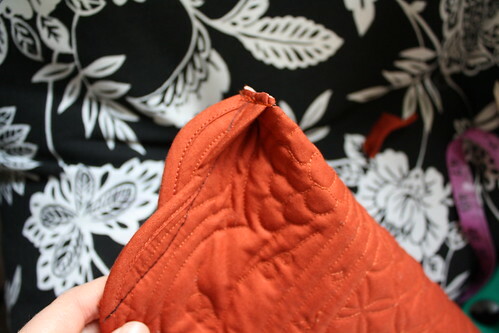 Just fold up one end to be the “body” of the clutch and sew up the sides. (I added some ruffles) All done! 1. Pin sides together right sides facing. Bring the cut off edge to where you like. 2. 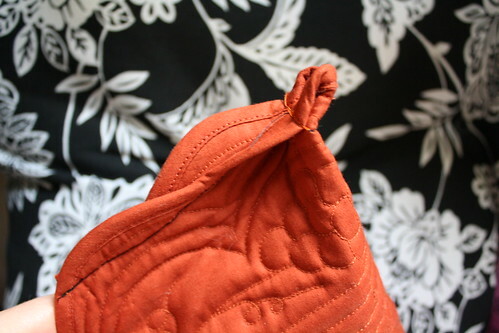 Sew down the sides, just leave about an 1.5″ opening at the bottom (you could do bigger if you want; the bigger the amount left, the larger the bottom of the purse will be. 3. 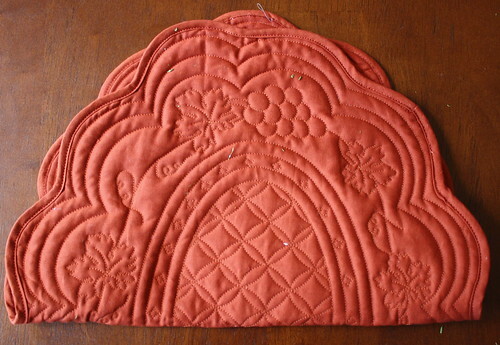 You are going to take the bottom of the opening on the bottom and put the middle up to where you just sewed. See above pictures. This will create the box corners. 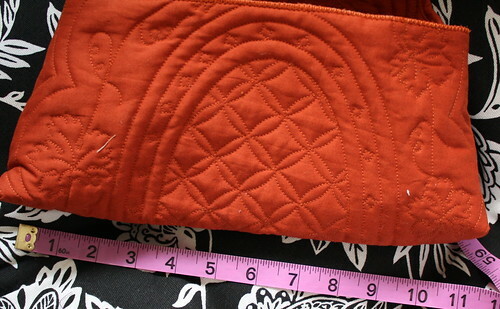 (Hint: You might have to lay the sides down like this when you sew if they are giving you problems. If not, just lay them to one side). 4. 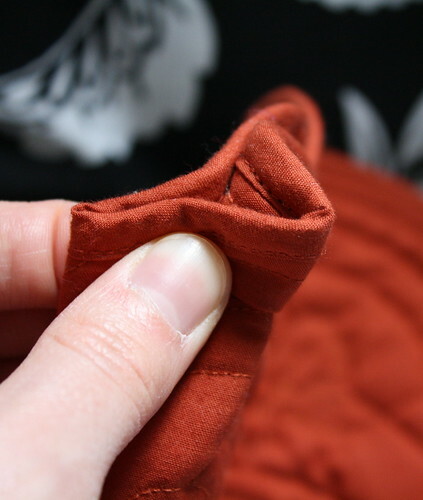 Sew straight across the bottom (the straight part you just created). 5. It will look like the first picture. 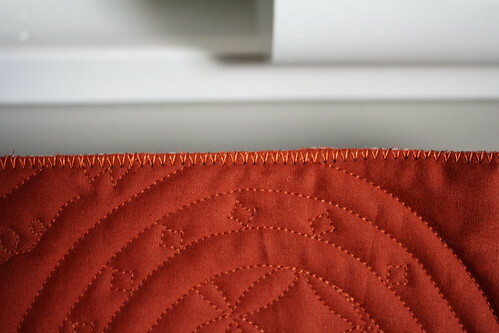 Then trim the edges. You could finish it off if you like (serge or V-stitch). 6. Turn right side out. You will now have a box bottom for your clutch. 2. 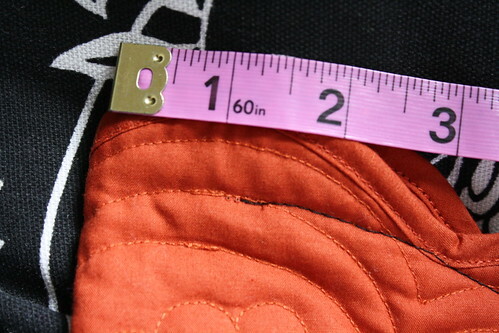 Measure how long your clutch is. 3. 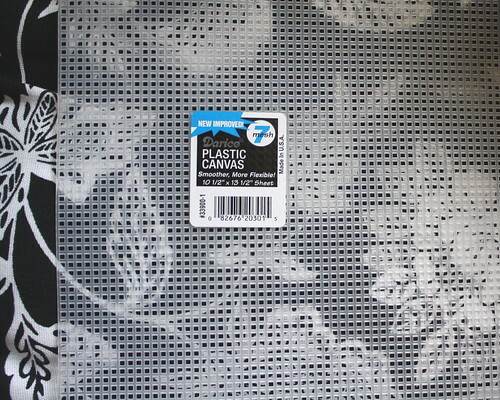 Get your plastic canvas (available in craft stores near needlework/thread/yarn stuff). Cut out the size of what you just measured. 4. 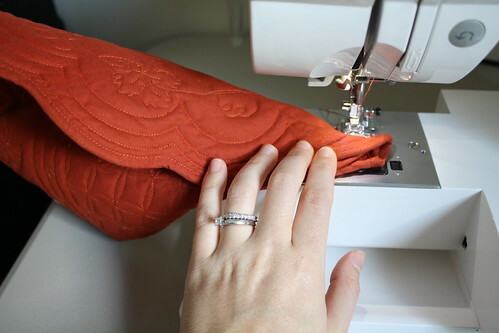 Cut a piece of felt or fabric that is bigger than the piece of plastic canvas you just cut. You are going to sew it on. 6. 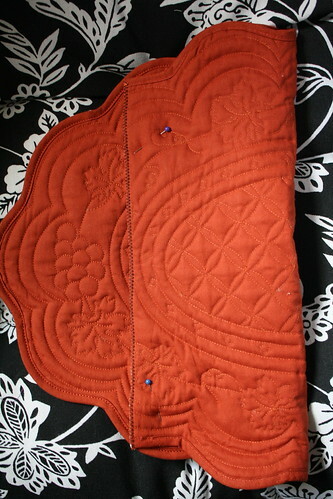 Now fold the long felt sides over and sew them on. 7. Glue it in. I used fabric glue. 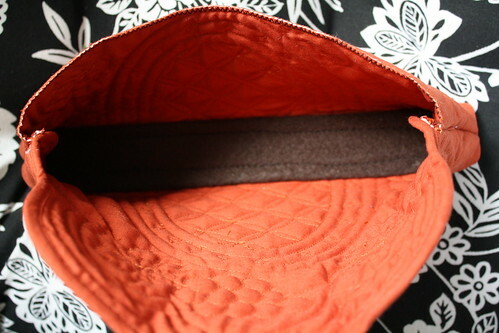 You could sew it on, or if you are really ambitious, cover the whole piece of plastic canvas and make it removable. Being the lazy crafter I can be, I just glued snaps on for it to be closed. I covered the top one with a piece of felt with a hole in it. 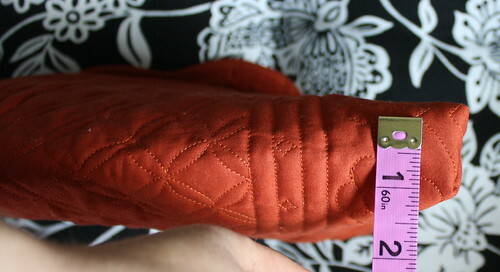 You could sew these on as well, or you could use Velcro, or just use a vintage pin to keep it shut (see below). Cute, thanks for sharing ways to make each shape work. I am curious to see how the round one turned out (or was it a craft fail?? 🙂 ) I’ll post about this at Dollar Store Crafts in a week or so. You are awesome! the purple one is still the cutest! 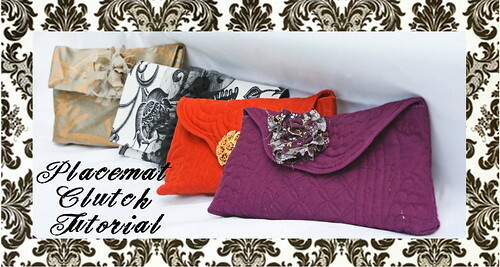 the quilted mats make for a cute clutch! Thanks so much! I can’t wait to try one of these. Thanks for the tutorial, it’s a great little project. THANK YOU THANK YOU THANK YOU! Now I have some great ideas for Christmas…You’re AWESOME! I’m de-lurking to to say that I’ll take the orange one! Bwahahahahahaaha! Awesome Tutorial Jessica!! I am going to have to try this one too! =) Thanks!! How much are yours?…I love them! Tis is absolutely flippin brilliant x Have you thought about approaching a publisher with your fabulous ideas? 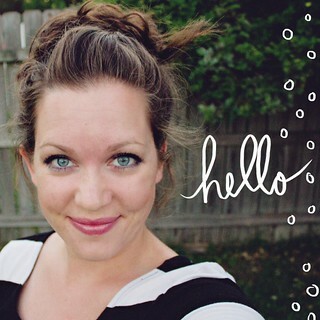 i just recently found your blog and love it! and that petal backpack! too sweet! i will be going to the dollar store tomorrow! i live in jacksonville too! small world! i just started a blog and would love for you to stop by! i look forward to looking through your blog! thanks! I. LOVE. YOUR. BLOG! Thank you so much for sharing all your fabulous creations! You inspire me. I found your blog about a week ago and have already done 4 of your tutorials…I’m totally addicted! You are amazing!!!! Love it! 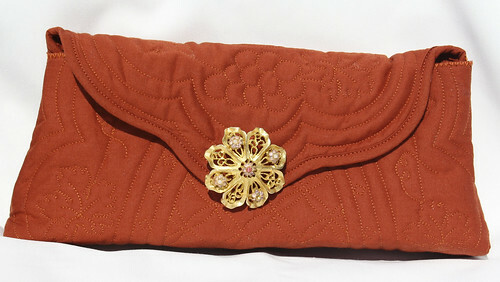 I have made purses with placemats (ribbon as handles) but never thought of clutches. You are awesome. I so love it! This is SOOOO fabulous! 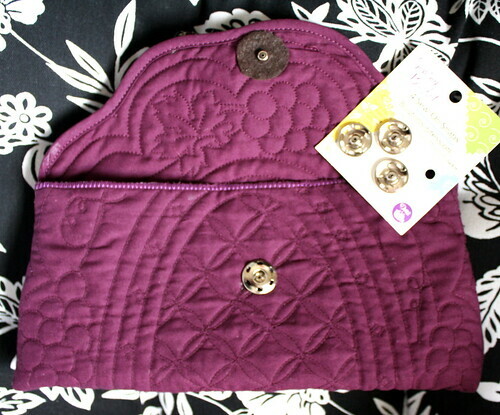 I’ve been wanting a jewel toned fabric clutch for fall. 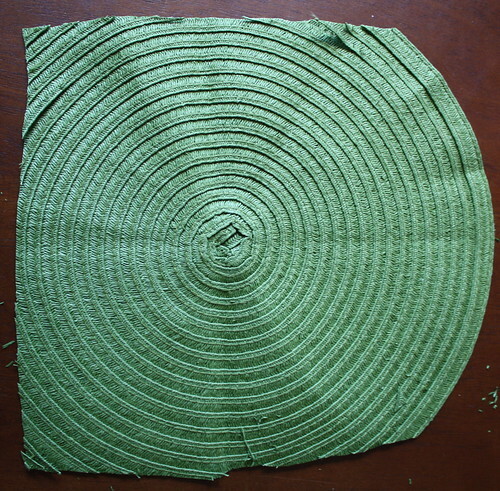 Now I just need to find the perfect placemat. You’re a rockstar! I’ll be linking. Your hair, clothes and makeup always look amazing in your pictures!!!! Can you do a tutorial for how you get your hair into that amazing updo? saw this on dollar store crafts- so cute! 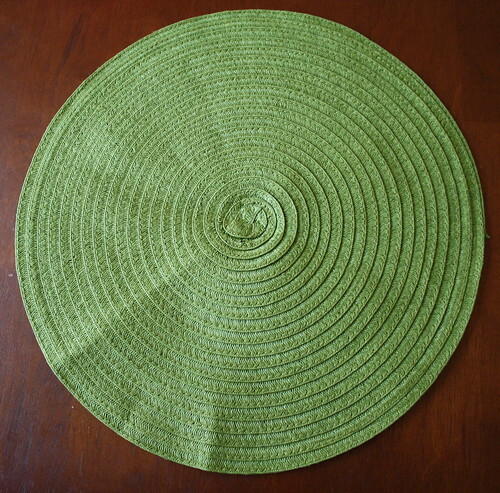 I’ll have to keep my eye out for cute placemats! Wow! It’s amazing 🙂 I like it and i’m gonna try it. Thanks ! 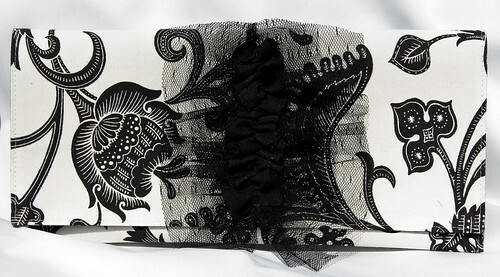 Are you look our blog ? I just made a couple of these yesterday! Feel free to take a look at how they came out! The clutch idea is so much easier than what I’ve done in the past. Absolutely genius. This is cool! I will definately try this!! Thanks for sharing!!! 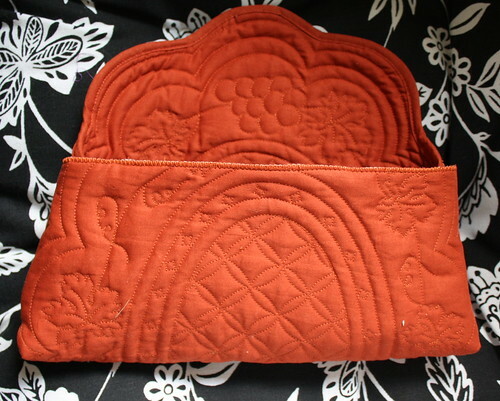 And I thought I was the only one that turned placemats into clutches. Wonderful ideas. I am making these for my bridesmaids! 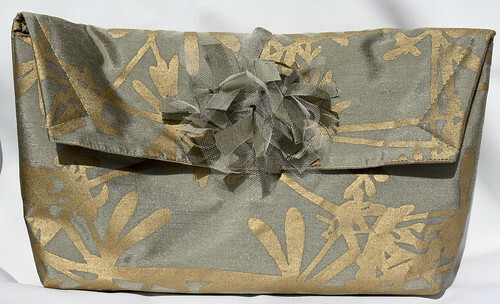 I think it is a great gift and you can fill them with bridesmaid essentials! I love them! Thanks for all your great ideas! I went ahead and tried this one too. WOW!!! I knwo this is an old post but I just came across this tutorial. Where did you find the placemats?? I found mine on clearance at a Dillard’s. Hi! I saw this a couple of days ago and I LOVE the idea. I went out today and found a fun placemat. It green on one side and striped on the other. So the inside is going to be slightly different. 🙂 Also I bought a cocktail ring that will look awesome as an accent. Thank for the inspiration and tutorial. 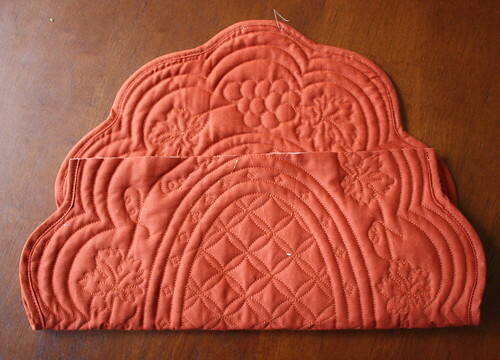 I’ve been in a sewing/crafty mood but couldn’t think of what to make. Great Tutorial. Thank you for your sharing. 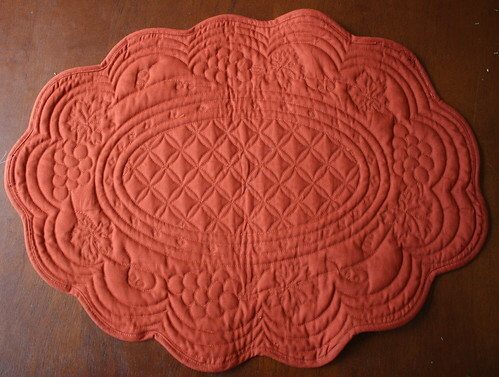 I’m having trouble finding a quilted oval placemat….any suggestions?